Diana Davis Spencer, Chairman and President of the Diana Davis Spencer Foundation, carries on her family’s legacy of supporting education for students in the US and across the globe. A warm, gracious, and down-to-earth woman, Diana has changed the lives of tens of thousands of young people. “Being involved with international affairs and students is part of my DNA,” she laughs. Her parents met on a train to Geneva, Switzerland when her mother worked up the courage to speak to the handsome man sitting across from her. After a few months, he convinced her to change her plans and go with him to New York to study at Columbia University. They both went on to complete their Masters degrees at Columbia and lived at International House in New York. This experience began Diana and her family’s longtime involvement in International Student House (ISH) and her passion for international exchange and education. 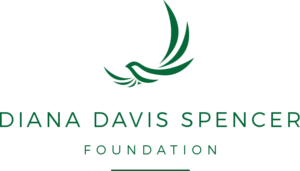 The Diana Davis Spencer Foundation has been a generous supporter of ISH-DC and the International House movement. Her mother, Kathryn W. Davis, established Projects for Peace on her 100th birthday. Projects for Peace funds student innovations, initiatives, and entrepreneurship focusing on conflict prevention, resolution or reconciliation. For the past five years, at least one ISH-DC resident scholar has a received a Project for Peace grant to carry out field work that addresses the causes of conflict. ISH-DC students have launched innovative projects across the globe. A few examples include establishing a database to facilitate reporting of sectarian violence in Egypt, combating violence against the LGBTIQ community in Kyrgyzstan, and reducing animosity between local Thais and Burmese refugees in Thailand. ISH-DC thanks Diana and her family for their enduring commitment to international understanding and peace.